Beverage Developers, I’m speaking to you today. We’ve almost made it to Spring in 2017 and there have already been dozens of new entries into the beverage category debuting across the US at the likes of Natural Products Expo West, BevNET Live, and SuppleSide West. Are you ready for the onslaught of new sweetener options in drinks? Let’s take a look at where natural sweetener options are trending early in the year, demonstrating the pull of clean label needs from consumers into the highly contentious territory of how beverages are sweetened (again, naturally). Remember, not everything here is new per se, but I’ll also highlight sweeteners gaining more prominence within the beverage category in the US market. If you are a Fortune 100 food and beverage company, representing a portfolio of category-leading products, it will often take you years to swap out core ingredients in an existing product line. Why? Procurement and supply chain challenges of scale make it difficult to pivot and roll back from long-term raw material contracts. Vetting new suppliers with the expertise, scale, know-how, service levels, and adherence to your corporation’s code of conduct also takes time, especially if you’re switching from a commodity ingredient (looking at you, high fructose corn syrup) to something more specialized. Starting with that example, HFCS and corn-based sweeteners in their many forms will continue to dominate the beverage industry. Their prevalence, though, will continue to be eroded by alternatives that provide a variety of consumer benefits in taste profile, mouthfeel, nutritional improvements, and a decrease in caloric intake. I doubt HFCS or a derivative will ever fully disappear — look at this as an ‘and’ scenario, not an ‘either | or’. But, it’s clear that consumers are making their voices heard, and in premium categories of beverage ready-to-drink (RTD), are increasingly voting with their hard-earned dollars. If beverage manufacturers are unwilling to adapt and offer options that create more transparency in ingredients, and the subsequent roll-up of nutrition facts, consumers will go elsewhere. There are simply too many alternatives today. 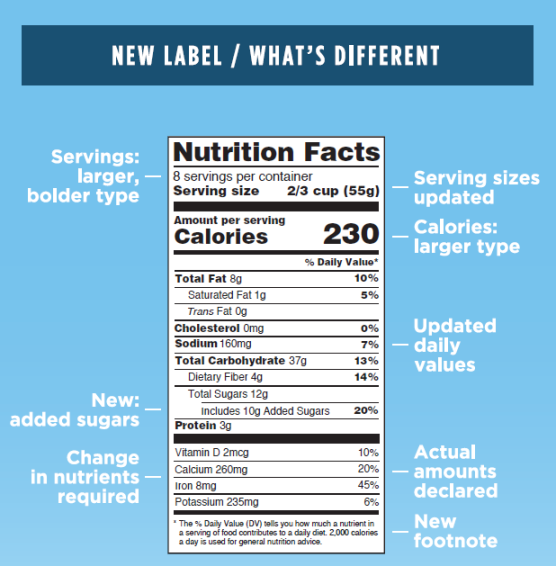 Consumers are not the only ones driving change; Uncle Sam, in the form of the FDA, has laid out a road map for changes to food and beverage labels. It’s a great first step in that it merely seeks to highlight information that was once buried or obscured. There’s more room to improve, but the best part? It puts the decision into your hands, Susie G. Consumer. Education and clear access to information is huge, and a new reality for beverage manufacturers to design and execute in their creative processes when building new drinks. So, what are the options today? There’s a great run-through of the most common, generally-accepted-as-clean-label-sweeteners at GoCleanLabel. In the world of beverages, here are some of the trending alternatives to straight cane sugar (which, yes, is very label friendly despite the caloric and health perceptions tied to its use). Commonly sourced today as sweeteners with the same relative usage rate as cane sugar, these label friendly ingredients are popular for their transparency in sourcing, and a wide range of flavor profiles to choose from. Until more recently, the buzz has been about honey — widely available clover varietals are now being supplemented with numerous regionally distinct options that help differentiate across the base honey flavor profile. To combat the risks of honey market stability, there are even synthetic alternatives that have been engineered as a more sustainable option. Cane Sugar. Beet Sugar. Demerara. Brown. Raw. There is an entire global supply chain tied to these products, with seasonal variability, market demands, and volume factors that create a complex marketplace. Given they serve as the baseline for caloric contribution in a beverage, using these sweeteners comes with the obvious challenge of wracking up grams of sugar quickly. Stevia has actually been around for a very long time (1956 to be exact), but continues it’s resurgence as continuous refinements from various ingredient companies work to minimize the characteristic bitterness. In beverages, it’s frequently sourced in conjunction with another sweetener, and the combo yields lighter profiles with lower caloric impact. In a similar fashion, beverage developers also turn to sugar alcohols (e.g. xylitol or erythritol to name a couple) for secondary support in pushing a sweetness profile with a low caloric penalty. Yep, you heard me. Instead of playing the zero sum game of adding more sugar to address challenging taste profiles, why not instead tackle off-notes themselves and leave the sugar alone? MycoTechnology, a startup funded in part by S2G Ventures, has pioneered a novel application of this tech in an approach that turns the added sugar arms race on its head: instead of tackling increasing bitterness, sourness, or other less desirable taste defects from a beverage by adding evermore sugar to smooth the profile out, MycoTech uses a proprietary mushroom-derived ingredient they market as ClearTaste™ which noticeably reduces the perception of bitterness itself. A small melon that grows natively across Southeast Asia, monk fruit has unique properties in its commercial form — no calories alongside a sweetness of ~150X that of sugar. In the last couple for years, monk fruit has been appearing more frequently as a natural sweetener option. It is typically bundled alongside other sweeteners to manage flavor implications or to dial in the proper amount of sweetness perception needed in a beverage — you’ll find it often hanging out with Stevia. Where Does a Beverage Developer Go from Here? With fewer off-notes or unwanted flavors to contend with, a beverage developer becomes less reliant on dumping in sugar or sweeteners to compensate. Like any of these sweeteners, it’s not a silver bullet. It’s application dependent and can, in the right situation, make a remarkable difference. In the clean label space, beverage formulators have added pressure for delivering drinks that meet the expectations of a more discerning, interested, and involved consumer, one who seeks options while not sacrificing all the things they love about great drinks in the first place. Taste. Flavor choices and complexity. Oh, and cost and stability that aren’t prohibitive. Not all sweeteners are created equal: When developing a clean label beverage and the arsenal of sweeteners are laid out, there are a number of trade-offs to consider that will be application dependent. Are you making a coconut water based sports drink? 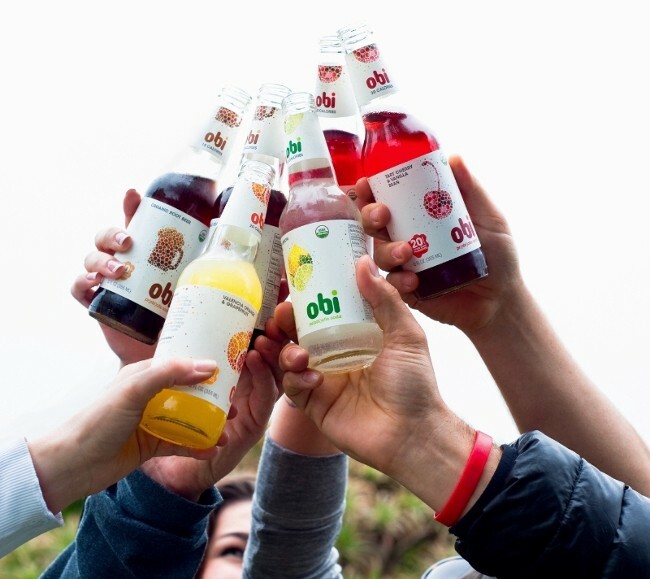 An organic sparkling juice beverage? A cashew milk protein beverage? The right combination of sweeteners, in conjunction with other ingredients, will land you on an optimal beverage — but, there’s no one size fits all option. Understand your end goal, then formulate to fit that target profile — have a plan. If you you choose clean label sweeteners because those happen to be the best fit for a taste and aroma profile, great. But understand any trade-offs in overall sweetness or related properties like mouthfeel when you build your profile. Clean Label is an ongoing conversation, driven by consumers and how the food and beverage industry responds. What’s considered clean label today may not be so tomorrow (farewell, carrageenan, your time came too soon). Staying on top of trends, and more importantly what’s driving consumers’ fear or concern with specific sweeteners, can save time and money as you develop. Thanks for reading! A summarized version of this article was originally published by the fine folks at gocleanlabel.com. What do you think ? I read and reply to all comments and questions, so sound off below. I’m Matt Sabo. Geek, Bioengineer, Professional Human, and an expert in crafting beverages and their underlying flavors. I founded Slipstream Innovation as a platform for helping entrepreneurs, start-ups, and a few corporations design custom beverages that create excitement and deliver a true benefit. Ready to take your beverage from good to great? — let’s go.